Voyage to the Iron Reef is an interactive dark ride coming to Knott’s Berry Farm this year. 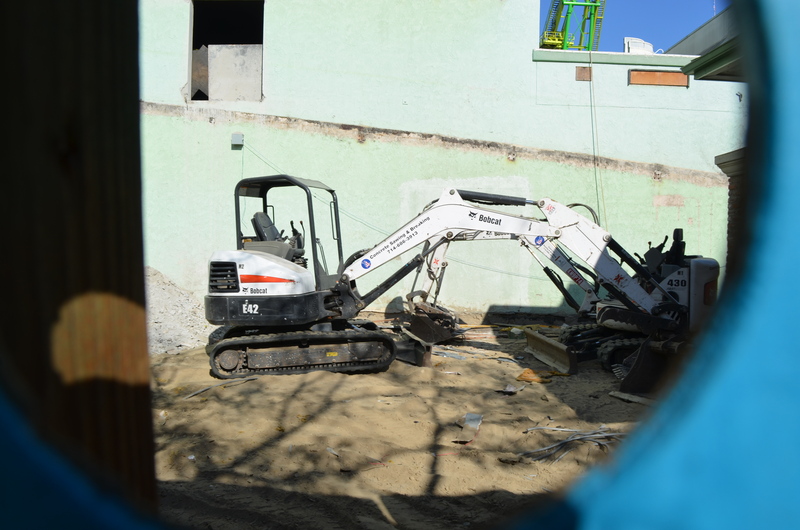 This article will be covering our predictions of what the new attraction will entail. 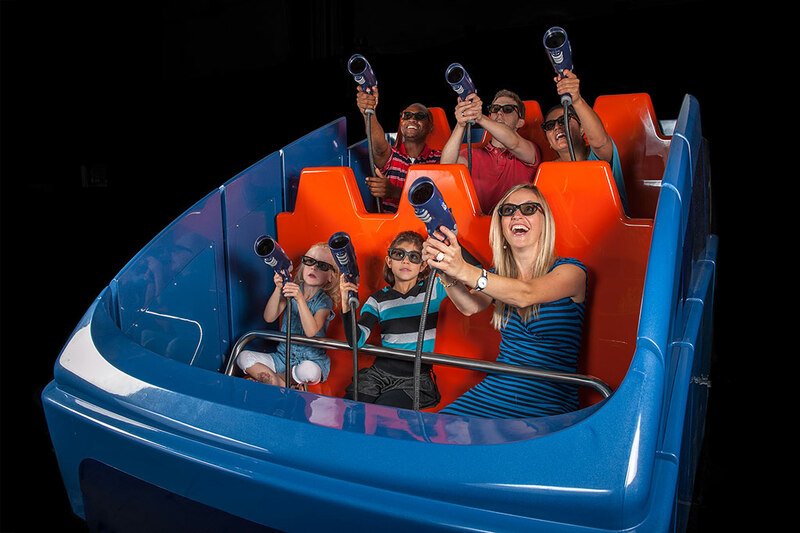 Voyage to the Iron Reef has a sister ride at Canada’s Wonderland called Wonder Mountain’s Guardian and is the prototype of this new technology from Triotech. Iron Reef will share many similarities with Guardian, but will have many differences. In Guardian the ride is half coaster, half dark ride and the whole dark ride portion is the world’s longest screen. There are no set pieces, only tarps and black painted walls cover the backstage areas. Knott’s will have fully themed set pieces and and rock work, blending the screens together. 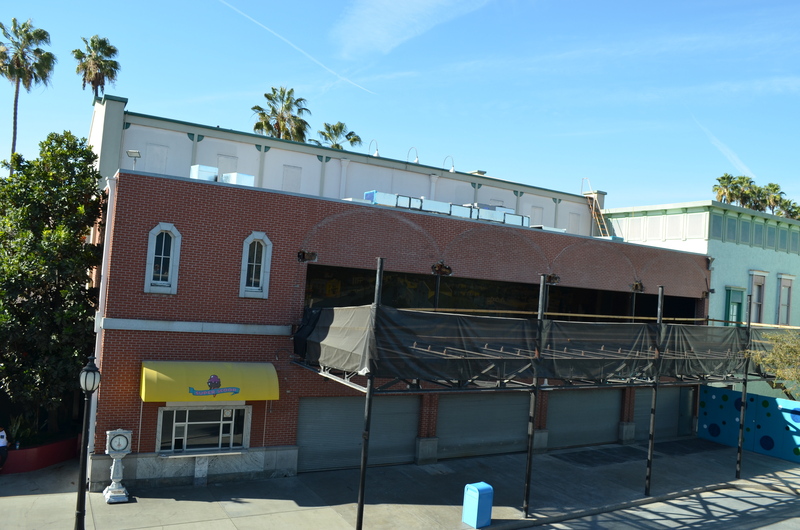 Iron Reef will be housed in the former Knott’s Berry Tales show building. The old loading dock on the second floor of the ride will be reused and the ramps that lead up to the second floor will be reused. A new sign will be located in place of the old Roaring 20’s one. The new signage will have octopus tentacles intertwined in it. The ride will utilize a bus bar based ride system and will be manufactured by ART Engineering. Here is what the ride vehicle may look like, but with a different paint scheme and seating arrangement of four guests per row. There will be a total of eight ride vehicles, giving the ride a hourly capacity of 800 people. Notice how the vehicle has a high profile, meaning the sides are tall, blocking your view of space out of the scene. If this same ride vehicle style is used, that gives the park the ability to not theme some walls that riders won’t be able to see. In the background of an recent interview with Triotech, the track layout can be seen. You can see the blueprint I am referring to at the 0:36 mark. I have made a recreation of that layout to help understand the massive scope of the ride. Please note that my version is not to scale. Here is they layout for Knott’s Bear-y Tales for comparison; the track stayed the same when the ride became Kingdom of the Dinosaurs. 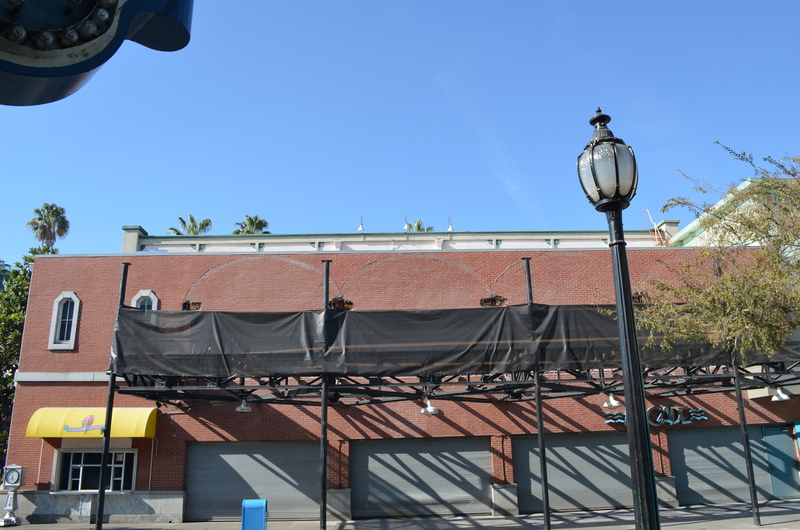 One interesting thing to note is that the new ride doesn’t use any space located above the Johnny Rockets restaurant. This is mostly likely because the air conditioning ductwork extends through that floor space. The storage track is located to the far left and is at the end of the ride. It appears about three ride vehicles can be stored on that track at a time. 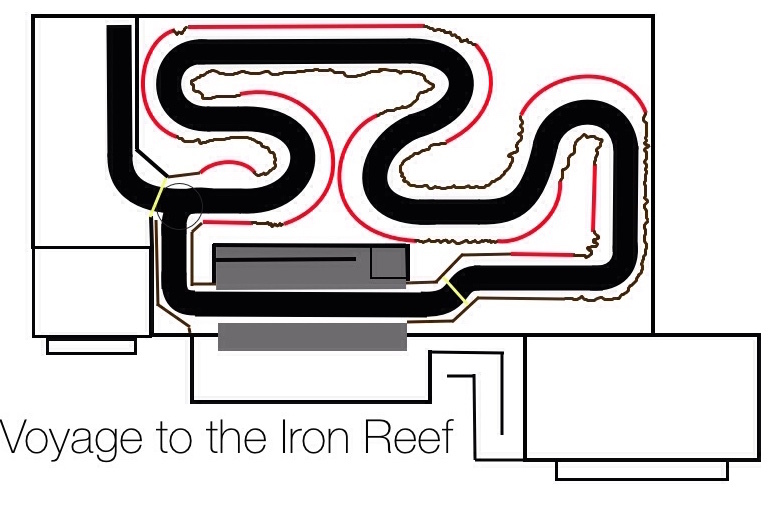 The screens in Iron Reef will range between 20 and 70 feet in length. A total of forty four 1080p projectors will be used to bring the content to life. Don’t forget the attraction is in 3D and two projectors will be needed to achieve the 3D illussion. The 3D glasses used for Guardian are the same as the ones currently used on King Kong 360-3D. Based of off the discovered layout, it seems like there are seven curved screens and 4 flat screens, with one being about 70 feet long. Many of the curved screens will engulf the riders, providing full immersion. The ride vehicles will come to a stop or move slowly in front of many of the screens, but I believe the vehicles will move at a steady rate infront of the large 70 foot screen. The first screen riders will encounter is flat and will most likely simulate the decent into the ocean. Knott’s has stated that there will be many physical sets connecting the screens, unlike Guardian, which is completely screen based. It is highly unlikely that the sets will contain any targets for the dark ride. The sets would be similar to the ones used on Transformers at Universal in that they will mostly be there to blend the physical and digital worlds together. The final two screens are directly across from each other, the slightly curved one will most likely be something related to surfacing to the ocean top with the last one being a scoreboard listing the rider’s on-ride photo and score. The same is done on Guardian, and you can even buy the picture with your score on it, so I assume the same will be done for Iron Reef. The current Ride Warriors gift shop will most likely be re-themed to the attraction and be filled with Iron Reef centric merchandise, like t-shirts, plush toys, and posters. There will be many easter eggs and references to long-gone Knott’s classics, such as Knott’s Bear-y Tales and the Roaring 20’s sign. The entrance to the dark ride will most likely be the old Kingdom of the Dinosaurs entry structure. This space will mostly likely be home to the the switchback queue for Iron Reef. 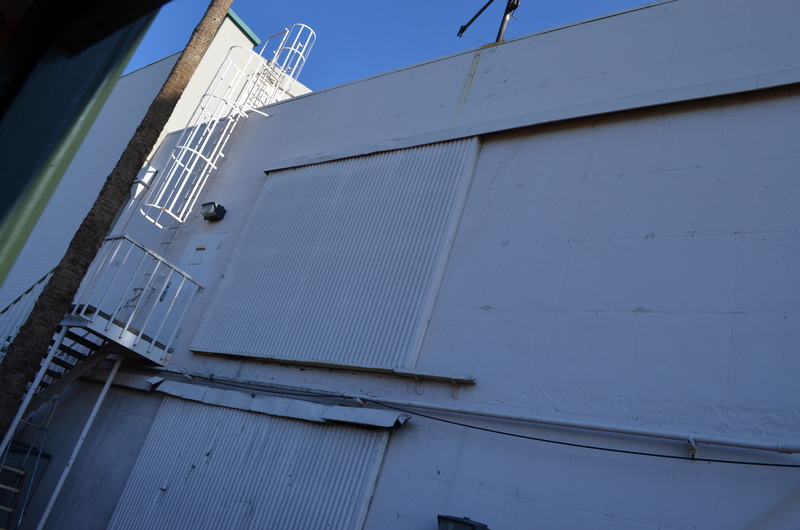 This door is on the back of the building and will be the back entrance to the storage bay. The media being created for this attraction will be exclusive to the park, but Wonder Mountain’s Guardian gets a Haunt overlay every night of their Halloween Haunt event, and I would not be surprised if Knott’s gets something very similar during Knott’s Scary Farm. I hoped you enjoyed this article as it is something that we tend not to write about. I plan on making a model of the ride once it opens. 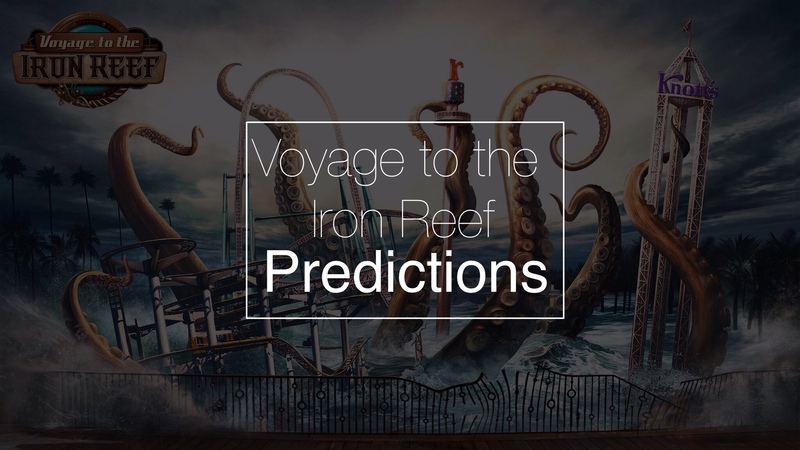 The hardest part now will be the wait for May 15th, the day Voyage to the Iron Reef will open. We then will see how close our predictions are. Kolby, you have given me a tiny bit more hope for this attraction than I previously had. I guess we won’t know anything for sure until we see it in person. Thanks for the update!